The 1994 Encores! production of Allegro—back when the cast lugged scripts and wore their own cocktail dresses. "Allegro was a seminal experience in my theatrical life, and luckily it coincided—rehearsals and out-of-town tryouts—with my summer vacation from college. Oscar said, “How would you like to work on it?” and for twenty-five dollars a week that’s what I did. I typed the script and got coffee. I listened to Agnes de Mille maltreat singers, and I watched the growth of this quite remarkable show. I might not be quite so attracted to experimental musicals if I hadn’t gotten my feet wet with Allegro. It was, I believe, the first commercial attempt to tell an epic story in popular music terms—to tell an entire man’s life, not from birth to death but from birth to regeneration. It’s about a fellow who loses his way. It occurred to Oscar to use a Greek chorus as a Broadway chorus, not only to comment on the action but to explore the inner thoughts of the main characters." 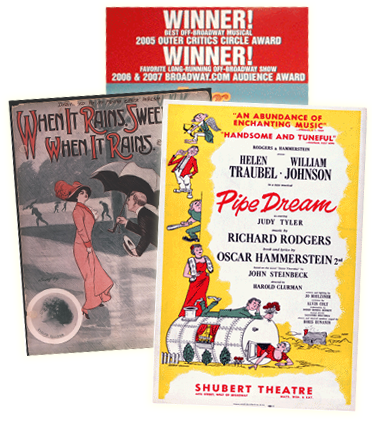 Read more about Stephen Sondheim's history with Rodgers & Hammerstein's Allegro on the NEW YORK CITY CENTER blog, THE CENTER. 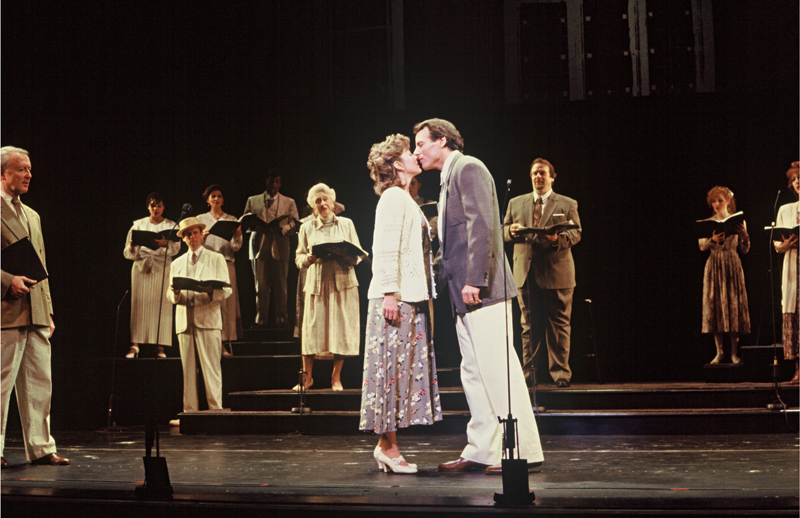 The wedding scene from the Encores! 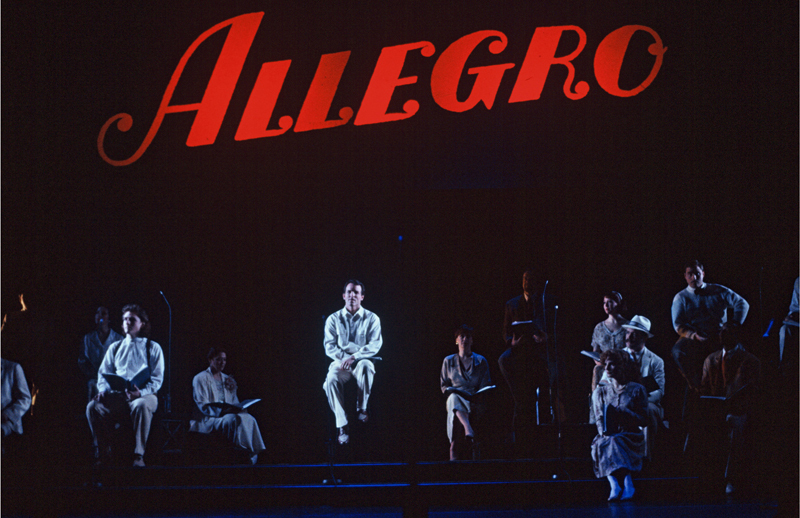 production of Allegro.